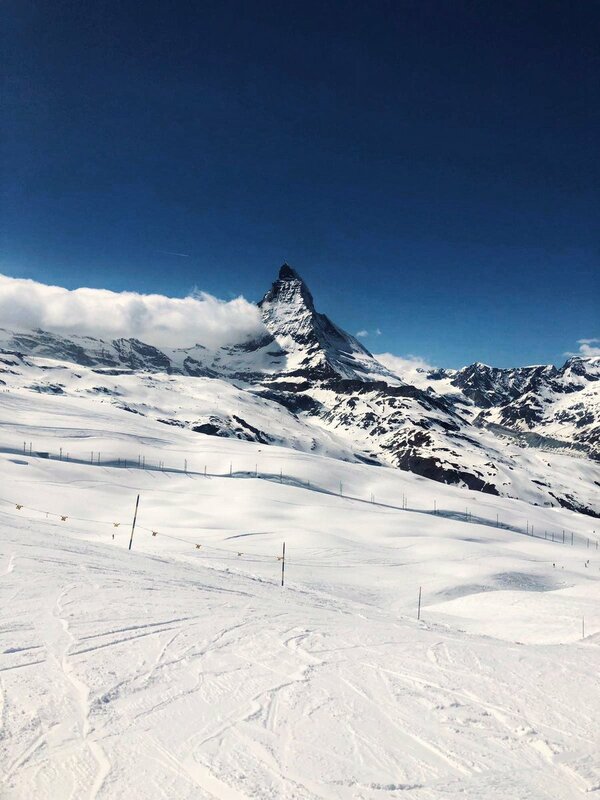 You won’t get any higher…the mountain lifts in the Zermatt and the surrounding areas take you to the highest heights in the alps – up to 3,883 m. No other words than “Wow” to cover that. 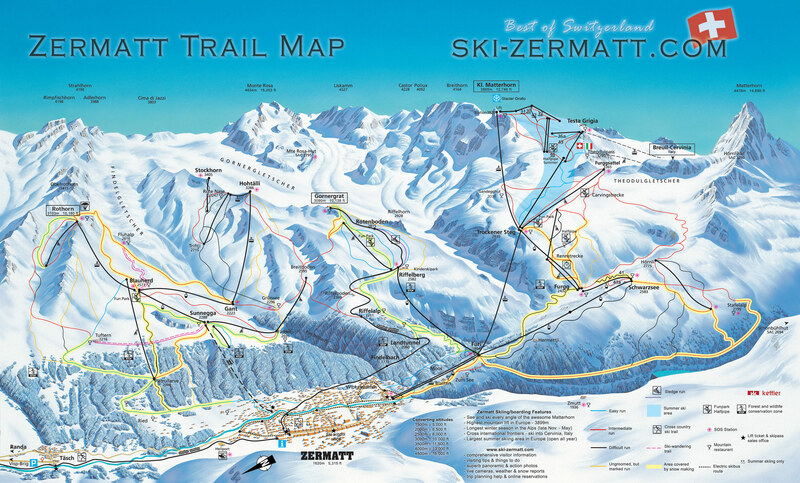 The resort has 200 km of pistes across three linked sectors – Sunnegga-Blauherd-Rothorn, Gornergrat-Stockhorn and Trockener Steg-Schwarzsee. Due to heavy investments, the lift system is now as slick as any in France or Austria and queues are rare. Furthermore you can go to Cervinia in Italy as lift systems are now linked. A very nice feature is that lifts operates from 8.00 in the morning so you can really make the most of your (expensive!) lift pass. Next story Stance: How Wide is Too Wide? I have just seen this very nice series on Netflix called The Horn and wanted to promote it to everyone interested in the Zermatt area. It is very existing and a bit scary but we all know that Zermatt is the best place for skiing so naturally they also have the best rescue services 🙂 Hopefully will never need it!! Crazy much snow right now – 3,5 meters at the mountains – they say it it the most in 150 years at this time and within so few days! Cooooooooooollll!!! Ski area 5 stars. Cost of staying here – 1 star. This is a great place but it is far too expensive compared to similar areas.